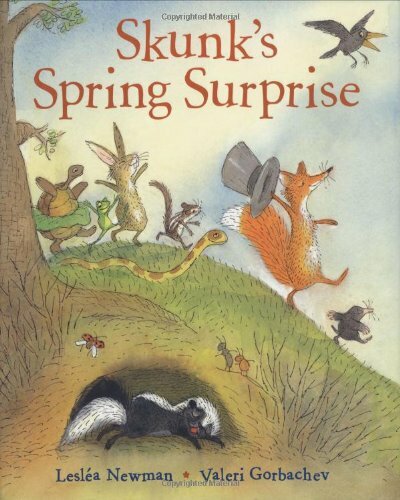 When Skunk wakes from her long winter nap, she can't wait to see all her friends. But they're nowhere to be found! Do they think she stinks? Poor Skunk is fuming ... until she discovers the real reason her friends are missing. In this charming companion to Where Is Bear?, Lesléa Newman and Valeri Gorbachev have once again created a funny and warm story about doing whatever it takes to show friends how important they are. LESLEA NEWMAN has written many books for children and adults, including The Best Cat in the World, an ABA's Pick of the Lists, and Hachiko Waits, a Book Sense Pick. She lives in Northampton, Massachusetts. VALERI GORBACHEV is the beloved illustrator of more than twenty books for children, including Little Bunny's Sleepless Night by Carol Roth, winner of the Parent's Guide Children's Media Award. He lives in Brooklyn, New York.